Alma Mater Education believes that every child has the right to a quality education, regardless of financial background. 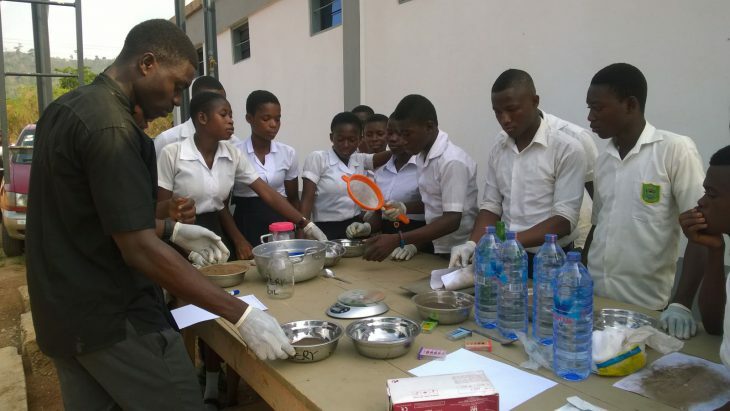 Currently, Alma Mater operates a senior high school and organic school farm initiative in Ghana, West Africa. All secondary education in Ghana is fee-paying. As a result, almost sixty percent of children will not gain any educational qualifications after the primary school level. This needs to change. Scholarships: Only fifty percent of Alma Mater students pay fees (which are very affordable). The remaining fifty percent, from the most impoverished backgrounds, receive full Alma Mater Scholarships. Experiential Learning: We believe that teachers should not only lecture, but should actively engage the students in the learning process, which is why our teachers are trained in Experiential Education methods. Teaching outside the box. Organic School Farm: Most of our students are from farming families. By incorporating a 25 acre organic demonstration farm, students are engaged in creating sustainable landscapes and learn the benefits of environmental stewardship. Future Plans: We aim to replicate this school model across Ghana and other developing countries, spreading opportunities for all children to gain the knowledge and skills they need for a better future.